You can hardly cross the street in the French Quarter these days without witnessing a merry krewe of bachelorettes spilling out of this bar or that restaurant. There are many good reasons for it, if you consider the whole months of perfectly mild weather, and all the opportunities to both relax and revel in one of the most splendid settings in the country, if not the world. 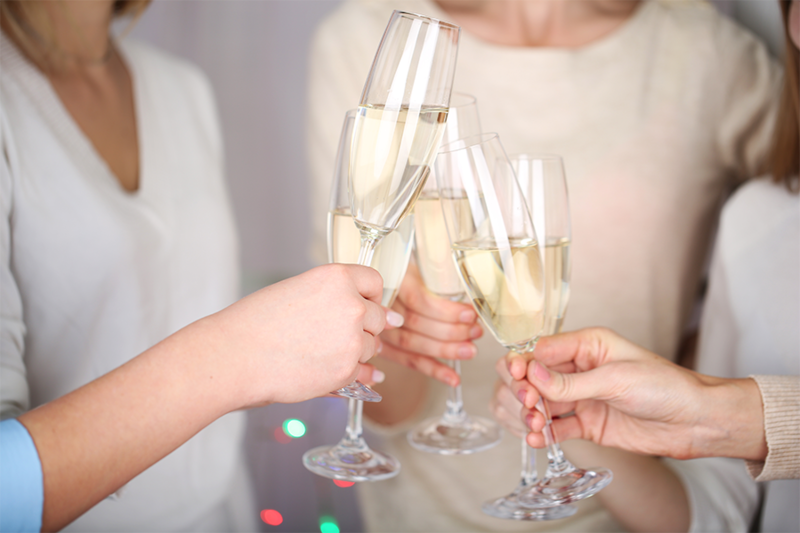 New Orleans offers a backdrop both historical and modern — a perfect blend of ingredients to make your bachelorette party unforgettable. Sky is the limit when it comes to eating, drinking and shopping in New Orleans, but you have to start somewhere. 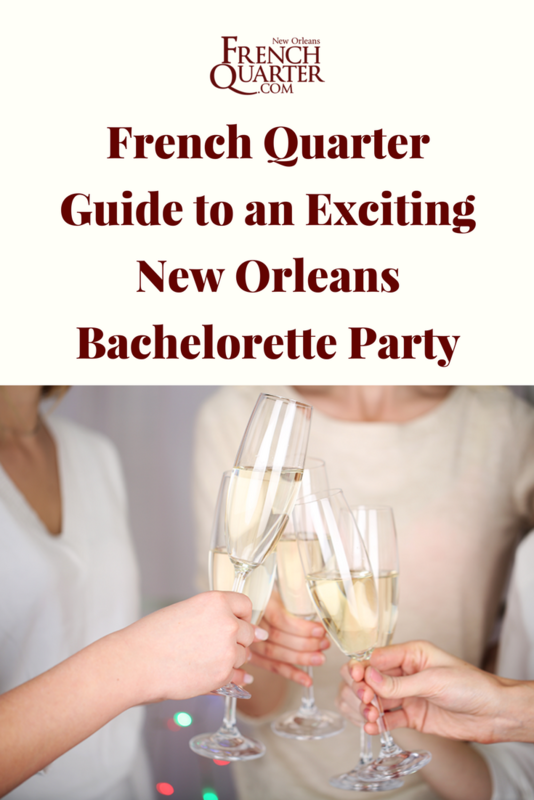 So here are some suggestions to help your bachelorette party have a great time in New Orleans. 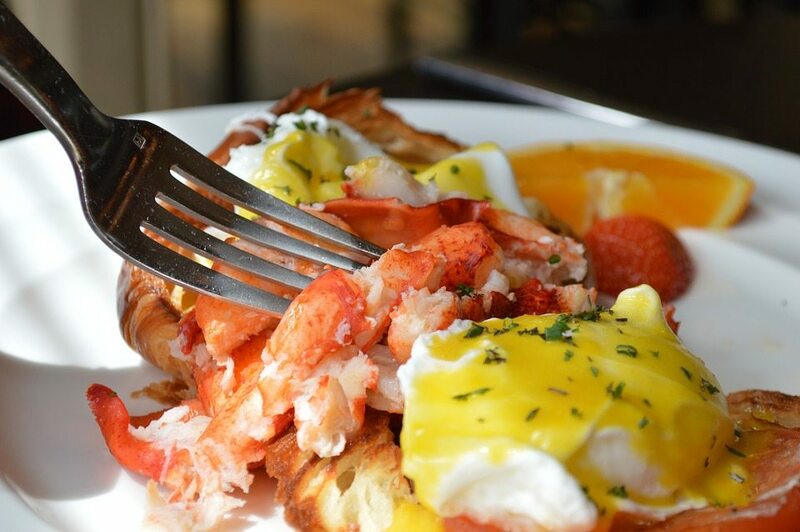 Start the day off right with a hearty brunch at Vacherie Restaurant & Bar. Chef Jarred Zeringue focuses on Cajun and regional Louisiana fare using local ingredients. Try the crawfish frittata or eggs Boudin Benedict, or make your own Bloody Mary or Bloody Rita (with tequila instead of vodka) at the DYI Bloody Mary bar that features house-made pickled okra and pickled jalapeno. If you’re up for a scenic ride/walk through the Marigny, Cake Cafe & Bakery is an undisputed gem located on the corner of Spain and Chartres, popular with the locals, and doling out consistently excellent omelets, sandwiches, and baked goods. The biscuits and bagels are made on premises, there are tons of omelets to choose from, and you can get a cupcake for $1 with any meal (even breakfast). The crab sandwich is one of the most talked-about items on the menu — grilled with bacon, Brie and sauteeed spinach. Heading in another direction, toward the CBD, lies another award-winning brunch spot, the Ruby Slipper Cafe. This local mini-chain’s Canal St. location isn’t as crowded as the Mid-City one, but even if you have to wait a little for the table, the Ruby Slipper’s Eggs Cochon and BBQ shrimp and grits are well worth it. The signature items are also offered in lighter versions (Skinny Migas, Skinny Florentine). Speaking of CBD, Willa Jean bakery and cafe deserves the trek out of the French Quarter for its Southern-inspired take on the weekend brunch featuring avocado toast, pancakes, and signature cornbread. Check out the mouth-watering descriptions of the “biscuit situation” on the menu. Our brunch suggestions won’t be complete without mentioning Bottomless Mimosas. Salon Restaurant by Sucre (the French Quarter location on Conti St.) offers a brunch menu featuring chicken and waffles, frittatas, cheese plates, plus yes, the “bottomless” Mimosas on weekends ($25 per person, no food purchase required). The Country Club in Bywater has a drag brunch on Saturdays, 10 a.m.-3 p.m. that’s popular with bachelorette parties — with entertainment, $15 bottomless Mimosas and build-your-own Bloody Mary bar. Reservations are recommended. Within walking distance of the French Quarter, the Shops at Canal Place mall houses Saks Fifth Avenue, Anthropologie, Michael Kors, and many more upscale retailers. 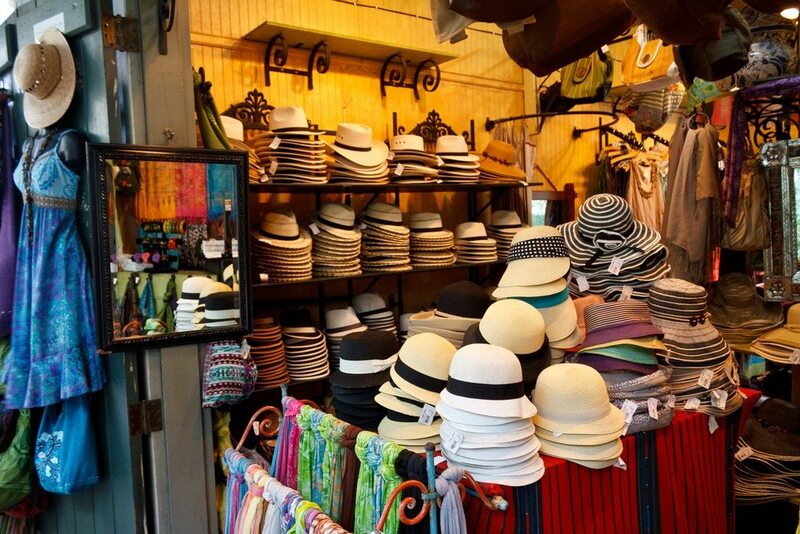 For locally made goods, check out the daily flea market at the French Market, Dutch Alley Artist’s Co-Op and Fleurty Girl. United Apparel Liquidators (UAL) is unsurpassed for hunting name brands with deep discounts. Also on Chartres, Hemline is a popular boutique that carries a well-curated shoe and women’s fashion collection from local and national brands. You’ll find retro-inspired clothing, corsets, lingerie, and accessories at Trashy Diva’s several locations. And, speaking of shoes, check out the recently opened John Fluevog Shoes. Since we’re a costuming city, we highly recommend Fifi Mahony’s. They’ll help you find a perfect wig, and makeup and accessories to go with it. For a taste of esoteric New Orleans, the quiet Voodoo Authentica is well worth a visit for its handmade dolls, gris-gris bags, candles, oils, and Haitian and African spiritual arts and crafts, including the remarkable Haitian vodou drapeau (flags). The in-house practitioners also offer spiritual readings and consultations. There’s a good chance you could stumble into a great bar on your own if you just start walking in any direction, but we won’t steer you wrong with these suggestions either. First off, The Bombay Club is a must if you are a martini lover and want some live music. The menu is a fresh take on British cuisine, with a Cajun twist. Or, toast the bride-to-be with a classic New Orleans cocktail like Sazerac in the Carousel Bar & Lounge at Hotel Monteleone. It’s posh, and it revolves (that’s right). If you want bubbles, Brennan’s Roost Bar happy hour has $7 Champagne cocktails and discounts on bottles of Champagne, plus a lush courtyard with plenty of space to accommodate large groups. 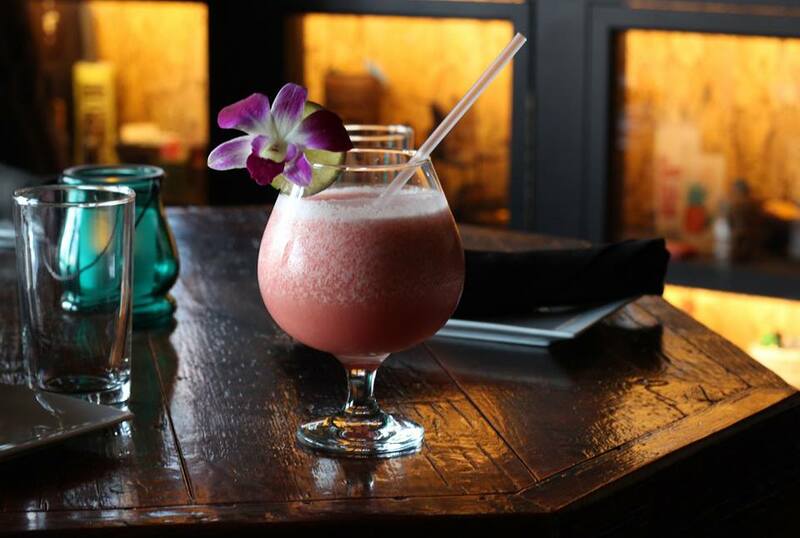 If you dig rum and don’t mind sharing, Beachbum Berry’s Latitude 29 “communal” Tiki cocktails are meant to be shared by two, four, and up to eight people. The Plantocracy Punch, for instance, is a potion made with cognac, old Jamaican rum, Madeira wine, guava marmalade, and green tea. Finally, if you’re feeling adventurous and want some serious New Orleans flair, why not try absinthe in a historic bar? The hole-in-the-wall Pirates Alley Cafe, just off Jackson Square, and the Old Absinthe House on the corner of Bourbon and Bienville streets have both been quirky, solid constants in this city, and serve many a mean absinthe-based concoction.